At the APA our patent filing service is designed to take the stress out of filing a patent in Japan, China and Korea by streamlining into one easy process. Our unique filing service is not only economical but speeds up the overall time it takes to get a patent approved in Asia. Our advantage lies in having a local network of patent filing offices that we coordinate centrally. You contact our main office and supply the necessary paperwork. We take care of the rest to get your patent filed accurately and promptly with our three countries of operation: Japan, China and Korea. We have staff that speak fluent English and become your single point of contact, should there be any adjustments needed with your application. We guide you through the whole patent filing process from start to finish. 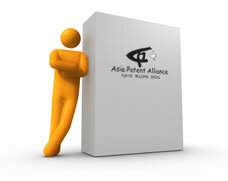 Please feel free to contact us regarding any patent services you may require.